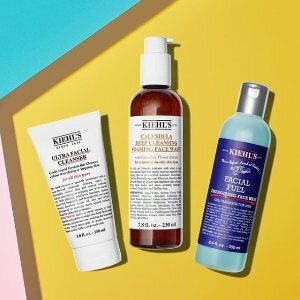 Lord + Taylor offers 15% off Kiehl's Since 1851 beauty beauty purchase via coupon code FRIENDS . Free shipping on beauty order over $49. Kiehl's Rare Earth Deep Pore Cleansing Masque/5 oz. Kiehl's Daily Reviving Concentrate/1 oz. Kiehl's Ultra Facial Cream SPF 30/4.2 oz. Kiehl's Midnight Recovery Concentrate/1.7 oz.